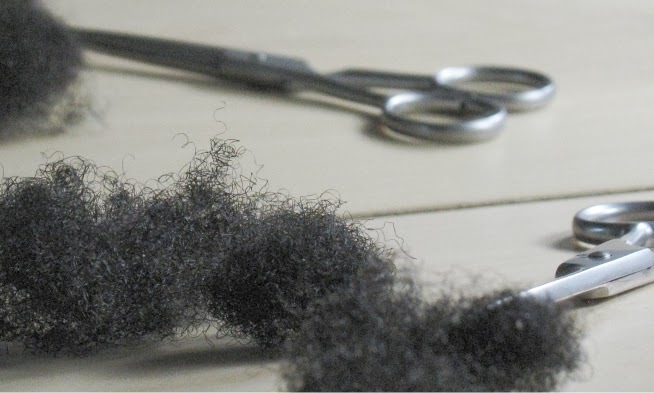 THE NATURAL HAVEN: Laundry Day: NATURAL HAIR POLITICS! Laundry Day: NATURAL HAIR POLITICS! Have you ever heard relaxed ladies saying to each other, ‘You did a braidout so you are not being true to your straight hair?’ Waiting for response ………… No? Yet why is it so common to find naturals question each other for everything from straight hair to styling choices such as weaves and even for just having an opinion. I am talking about the dirty politics within the natural hair community. I guess it troubles me a lot that sometimes politics seems more important than the broader message of natural hair acceptance. This is especially an issue in hair forums and blogs where there is a large audience who need to be supported and given the right message. I then decided to do some research and found a really good article by David. G. Jensen relevant to career politics but it really applies for the skulduggery of natural hair politics. Politics exists at different levels but what we all need to be able to spot is a ‘politically charged environment.’ What exactly do I mean by that? Well, here are some tell tale signs 1. Is communication controlled or manipulated? For example, do you find that you are only allowed to express an opinion that is in agreement with the general thinking of a particular natural hair site/forum/blog? 2. Are there underlying conflicts that suddenly surface? Politics is a strategic game, it helps to keep conflict in the shadows so that when it surfaces, it seems like the issue came out of nowhere and now there is a bad guy and a good guy (nothing in between). Have you seen spats on a forum or site? 3. Are you part of the decision making process or are decisions made by a certain clique? In the simplest form, have you been offended by something that was said on a natural hair site and your objection was simply ignored or have you ever suggested a change and it was treated with indifference or shouted down? 4. Is information passed through gossip? Any one of these may indicate that you are in the midst of a political minefield. So how do you deal with this when all you want is natural hair info, styling tips, regimen tips etc? Well the way forward is to be politically astute but not a politician. 1. First stay away from topics that you feel uncomfortable with. Natural hair politics has a way of dragging everyone into it. Just don’t get involved if you don’t feel strongly about the issue. Gosh don't we all know about that. I am tired of watching silly fights and arguments. I also find it distracts from the topic of conversation. I'm glad you're starting your own blog, always knew that you would! I agree and thanks for this post. I just started my blog this year so I am just now seeing all the "in-fightig" regarding natural hair. It is sad because we all have our own stories, experiences and opinions. I hope we don't trade in our new found napptural freedom for more forms of control. um... yeh... i think you make good points. for me, natural hair blogging has been trial and error. i've made my mistakes. i think in the end, though, the most important thing is to hold the whole "natural hair" and "natural hair blog" thing very loosely. i mean, we're discussing natural hair with other women who have lives outside of the web, not to mention intelligence and free will, lol. and i think ultimately that the purpose of blogs and websites is to get natural women to a point where they don't need them anymore. our job will be completed when there isn't a need for high-traffic natural hair blogs, since the requisite resources exist in the real world (outside the web community). @Leslie and Leila - I agree both ways. I never liked the fighting which was so common on the hair forums (like 3/4 years ago) and I wasn't voyeuristic so I just left. Leila that is a completely different way to think about it which I hadn't considered. That is really good insight into the future which to be honest, I had never thought about. I'm loving the blog and especially this post, I see how it can be applied to other situations, too - thank you for bringing Jensen's article to our attention :) .